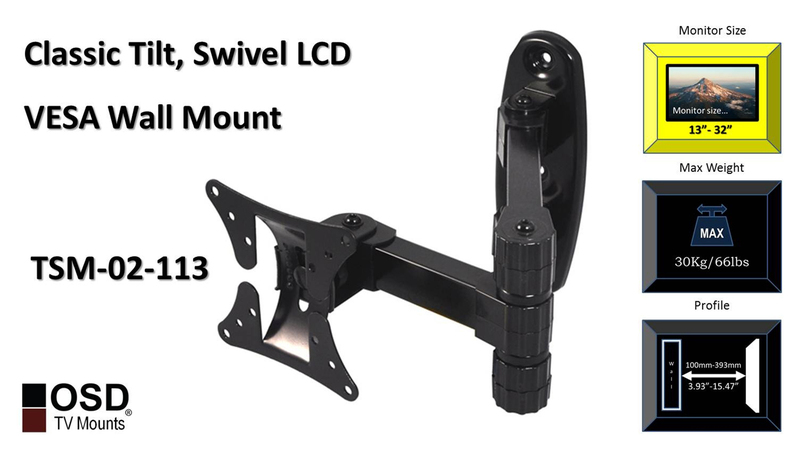 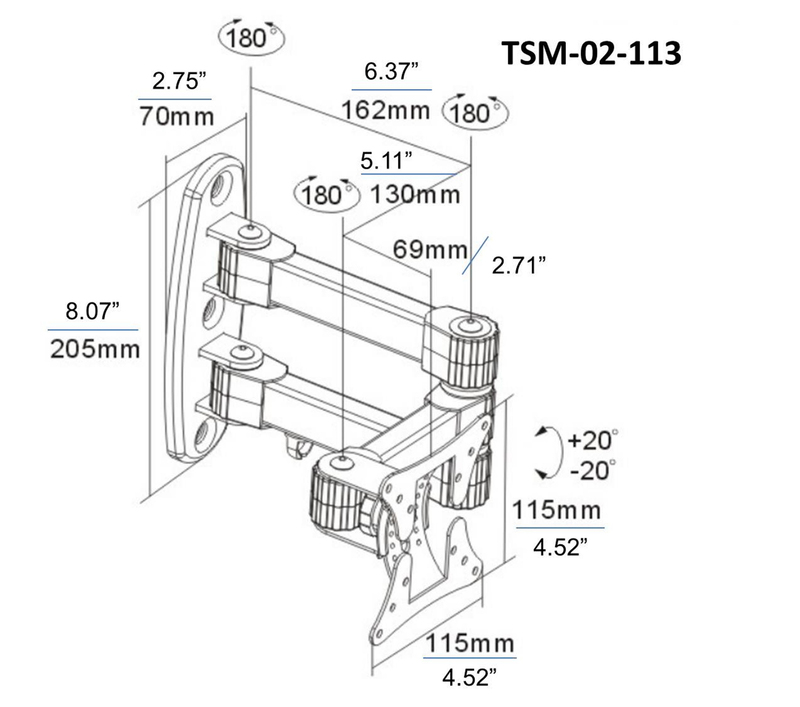 For smaller screen sizes or for secondary rooms like bedrooms, kitchens,dens, and RVs, the TSM-02-113 is a tilt and swivel mount that optimizes your viewing angle in LCD/LED TVs ranging from 13” to 23”. 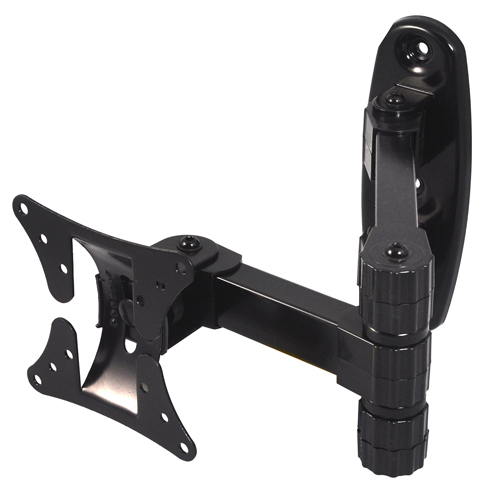 This sturdy mount comes ready out the box and includes cable management features for a neat and tidy installation. 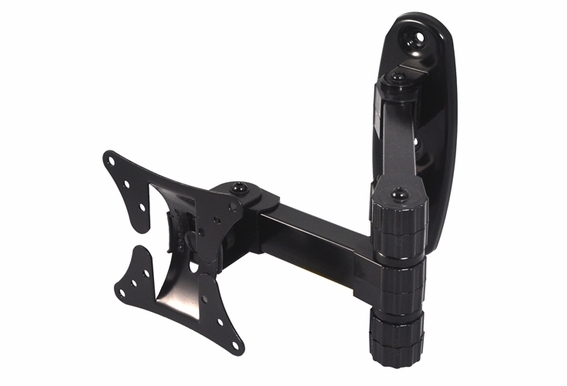 Fitting nicely in corners, tilt and swivel mounts are great for optimizing viewing, for instance the angle of the TV can be adjusted to compensate for brighter rooms or furniture placement. 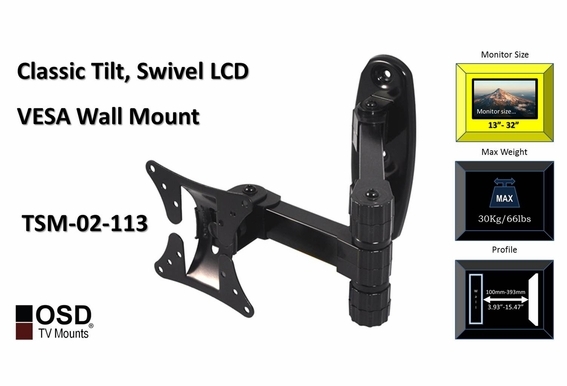 The universal hole pattern offers a lot of installation flexibility and with just some basic tools, you can have this swivel and tilt mount installed in minutes. 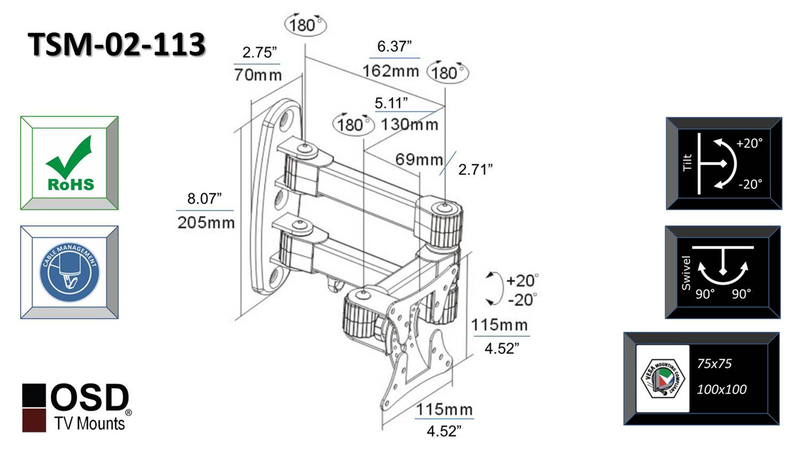 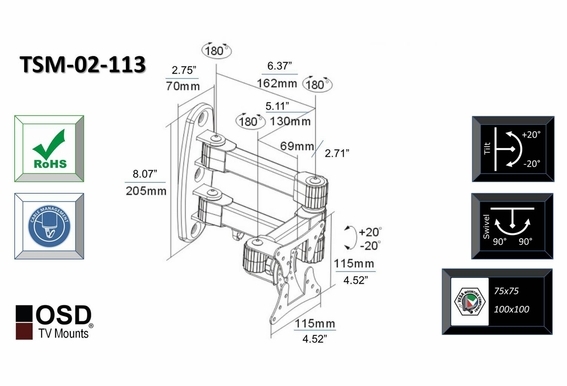 All hardware is included with the mount, and our TV Mounts are made with high grade quality rugged materials. 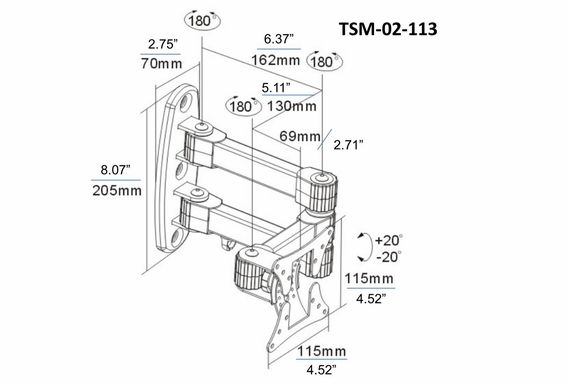 How easy is this mount to tilt up and down?